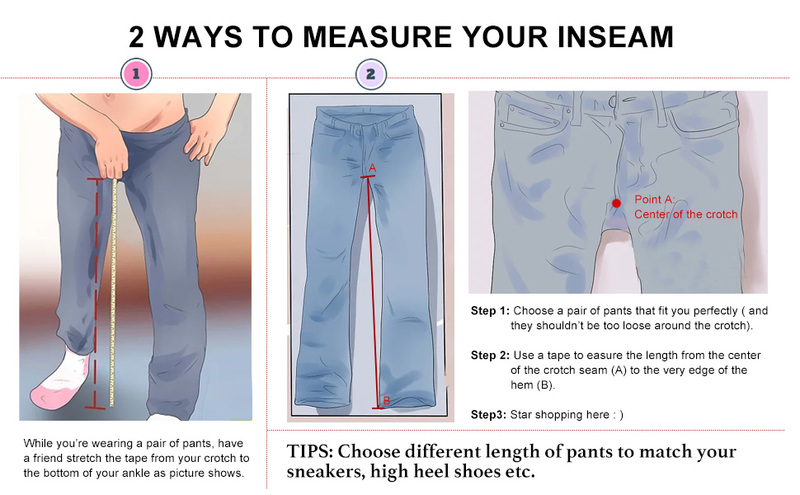 How To Measure Inseam Of Pants? Do you have hard time finding the right length of yoga and workout pants? Is it you, ladies with petite figure, who have to hem the pants each time when you buy a new pair? Is it you, ladies with long legs everyone admire, that you are always searching for the pants with longer inseam? At Yogipace, we offer different length of yoga and workout pants to align with your height. Here we provide pants for ladies from 5' to 6'. Before the shopping, please carefully measure the inseam in oder to find the right length. Now, click here to pick your right pants! to know about the new products and special offers.